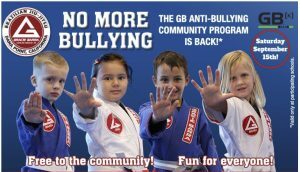 Our Anti-Bullying program is back! 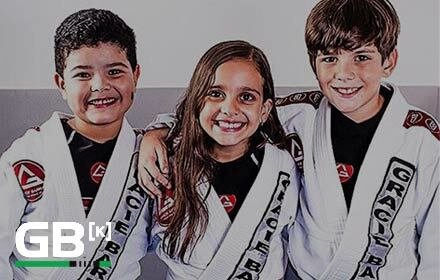 Gracie Barra’s around the world are spreading an anti-bullying message to as many families in their communities as possible. Showing up, supporting, and spreading what you learn is the best way to help stop bullying. We will be offering a free class open to the community, everyone is welcome, on September 15th 9am to10am. Come on over and learn the three steps of bullying prevention: Verbal, Social, and Physical.